Microsoft Plans to Urge All Windows Users to Windows 10 | Network Directions, Inc.
For decades, Windows users have endured Microsoft’s attempts at developing an operating system they could depend on for more than a few sales cycles. From Windows XP, the parade has gone through Vista, Windows 7, the not-so-popular Windows 8, and having skipped over Windows 9 are preparing to release Windows 10. The approach Microsoft is taking is to try to get everyone under the Windows 10 umbrella so it can focus more on its mobile strategy rather than continue to support a variety of Windows flavors. With desktop computer sales continuing to fall and laptops sales closely following in its steps, the march is on the transitioning to a mobile technology environment. Microsoft has made its reputation on supporting businesses with reliable and extensible operating systems with which third-party vendors have happily become partners. But the latest changes in the company’s business strategy are clearly to support multiple hardware technologies such as smartphones, tablets and lighter laptops. One operating system needs to be adaptable and competitive enough to compete with the Apple and Google strategies, which have a huge head start on Microsoft when it comes to mobile devices. Microsoft’s answer to the challenge is supposed to be Windows 10. 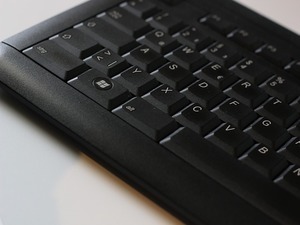 The challenge in moving forward is to create a user interface that screams Windows while incorporating enough changes to make the interface friendlier to users who like the experience of a non-keyboard interface. There are those who, even while appreciating the new mobile technology, still prefer a physical keyboard to the virtual offerings and like bigger screens over four-inch alternatives. Even Apple has come around to offering a larger iPad screen with the hopes of attracting business customers. Regardless of personal preferences, an operating system must be both flexible and adaptable to the ever-changing device technologies. A problem for many companies is how to create a user interface that is significantly more distinct to users while incorporating the best features of the human interface. Tapping a screen instead of clicking a mouse is simpler and easier, especially when you do not have to carry around a mouse – no matter what its size. The danger is losing the company’s distinct layout with the result being Windows 10 looking like another variation of Apple’s OS X or iOS operating systems. There has already been some criticism of this from Windows devotees. Microsoft may well be trying to lay a foundation where the inner workings of Windows 10 will be able to catch up and keep up with the operating systems of Apple and Google. Once they have a satisfied customer base they can get to work on redesigning the interface to make Windows 10 a unique product that will keep its existing base happy while attracting the younger generation of mobile users. Of course, the history of Microsoft is that its growth is directly connected to its business users. What businesses will have to adapt to is the growing demand of younger workers to use mobile technology to its fullest. Windows 10 and the new Microsoft strategy seem to be targeting both groups, and by exorcising the older Windows systems will be able to focus solely on the future.